Are you looking for an alternative to plain, paper favor boxes? 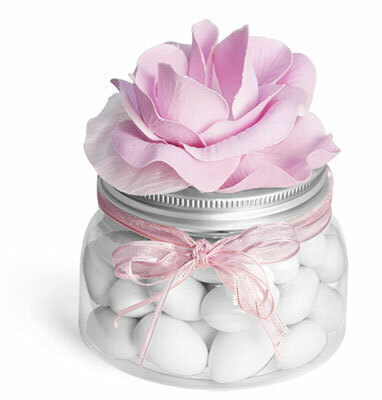 Showcase your wedding favors in our clear PET plastic Tuscany jars. Top these uniquely shaped jars with decorative silk flowers or personalized labels. Your homemade wedding favors will make wonderful additions to the tables at a bridal shower or wedding reception. *As always you should test your product with the packaging to ensure product compatibility. We do not imply these products are fit for any particular use.